For you and me, this is an automatic experience. Experts say, the average healthy adult breaths 9-14 breaths every minute. That’s every 4-5 seconds. It turns out that if we make this routine process a little less routine, it can have life-giving and healing effects for cancer other physical and psychological aliments? New research published in the Journal of Psychosomatic Medicine proves that breathing and guided imagery have substantial benefits for stress management and post-surgery healing; especially for cancer patients. 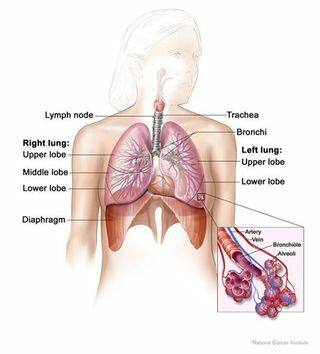 The research studied 159 men with cancer and found that a stress management program focused on proper breathing techniques and healing imagery resulted in stronger immune responses in recovery; measured by higher levels of cell function and circulating pro-inflammatory cytokines, which directly affect the healing process after surgery and after cancer treatment. Dr. Jeffrey Rossman in the acclaimed Mind Body Mood Solution presents various breathing strategies that are empirically validated to help with chronic pain, psychiatric diagnoses, physical illness and overall wellness. If you are presently healthy—or suffering from an illness, check out these breathing strategies and you very well might be on your way to a healthier tomorrow. 1.) Belly Breathing: Belly breathing involves the abdominal muscles that contract and relax. On the inhale, those “ab” muscles relax and the diaphragm lowers. On the out breath, the “ab’ muscles contract and the diaphragm rises. Start by inhaling over five seconds and exhaling over five seconds. Work to gradually reduce breaths per minute; thus reducing your overall heart rate. 2.) Resonant Breathing: Funny name—easy activity. Picture the rhythm involved in a tap dance class and you’ve got it covered. Resonant Breathing is a form of rhythmic belly breathing where inhalation and exhalation are done at specific rates. Looking to balance your physiology? This is your best friend! By controlling breathing to a point of six breaths per minute, physiological balance is accomplished through a reduction in heart rate. Hello Nirvana. 3.) Heart-Centered Breathing: Ahh! Yes, just in time for Valentine’s Day. Heart-centered breathing combines the physiological balancing of resonant breathing with an emotion centered psychological focus. Research shows that rhythmic patterned breathing releases endorphins and biochemicals that induce states of relaxation and happiness. Heart-centered breathing directly nurtures the emotions of love and appreciative living. Focus on the breath on your upper lip or the rhythmic contractions of your lower stomach; while maintaining full consciousness of physical sensations and inner workings. Goodbye thoughts, hello emotions and physical processes. Breathing-it’s like sleeping. Easy, right? Yep! Natural? Yep! Life changing — it sure can be. Breathing right is cost effective, time efficient and is sure to help. So, ditch the shallow breathing and see what happens.